The title of ABM Manager is still new and the idea of having a single role centered around implementing and maintaining account-based strategies is continuing to emerge. 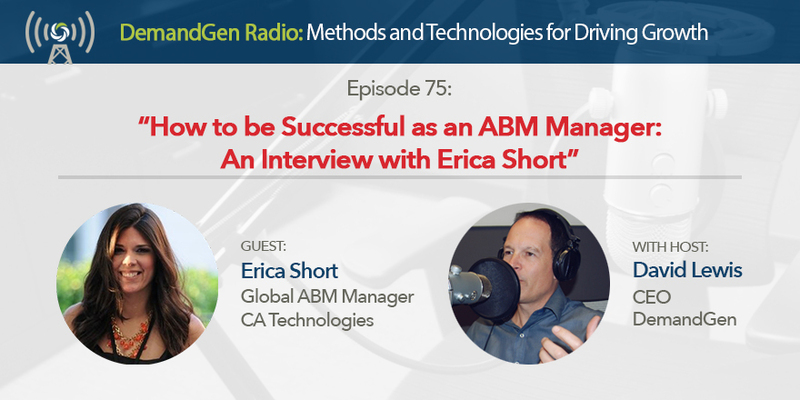 Erica Short, Global ABM Manager at CA Technologies, joins the program to talk about her journey into the role of an ABM Manager and shares what it takes to lead ABM efforts within a marketing organization. We also dive into what it takes to build an ABM program from the ground up, how to get all stakeholders onboard, and what technologies are needed for success.